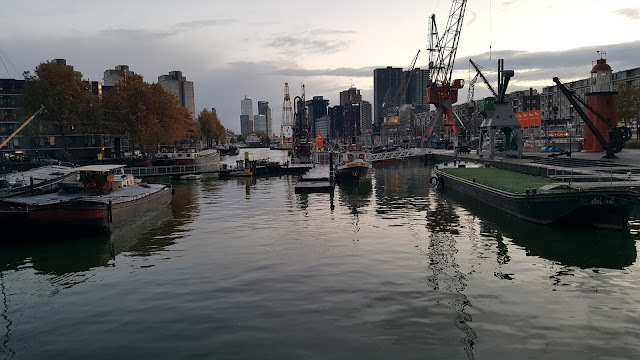 When I first made the reservations for Rotterdam, I imagined it as an maritime/industrial city with not so many things to see or do. In that spirit I put in our city-break schedule a visit to another small city in the area, Delft or Gouda for the second day. Oh how was I wrong! 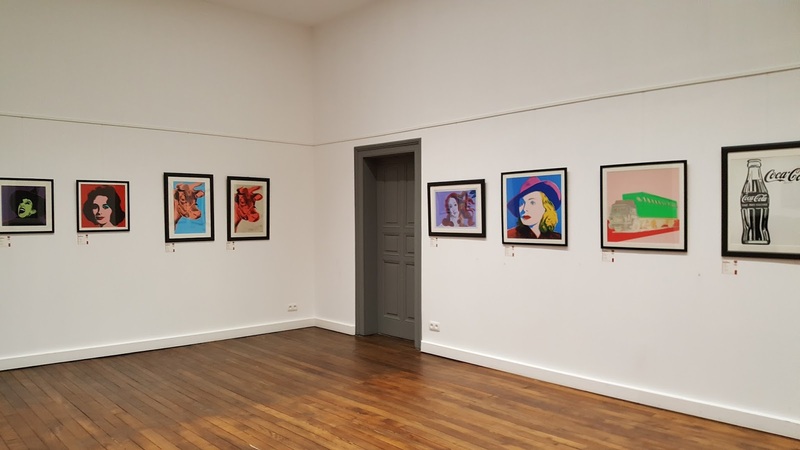 Definitely one weekend is not enough and I wanted to stay more, but it's just three hours away from Luxembourg so I might just pop in someday in the future. In that line of thought, I will list here on the blog the reasons why you shouldn't think like I thought and go and visit Rotterdam, even for a weekend. 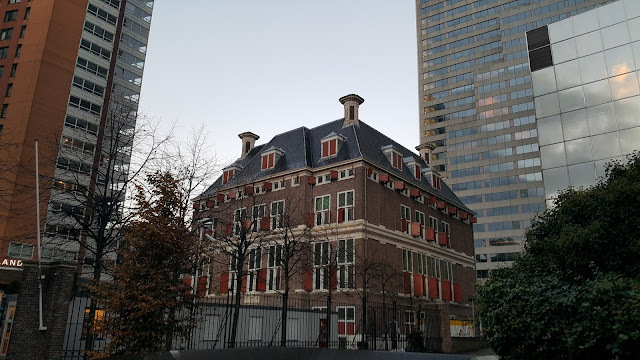 Being almost wiped out during the WWII, Rotterdam has an amazing mix of old and new architecture. You walk the streets and all of a sudden between skyscrapers you see a little gem. I have to admit, I am not a fan of tall buildings made out of steel and windows, but in Rotterdam it didn't bother me. We had the misfortune of an all day rain, so I thought that the buildings combined with the rain will look dull, but they didn't. 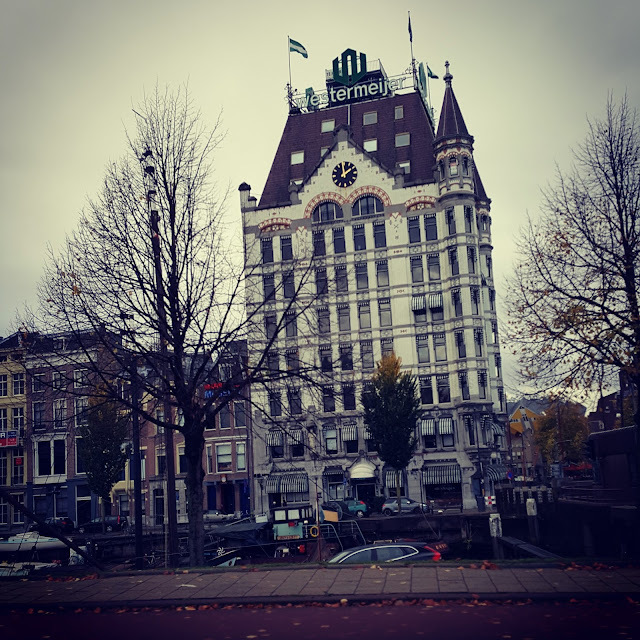 You can visit the city, like we did, or you can go to Rotterdam with a purpose (for me would be to check the English/Irish stores such as TK Maxx and Primark), no matter why you go there, you will find many things to do. 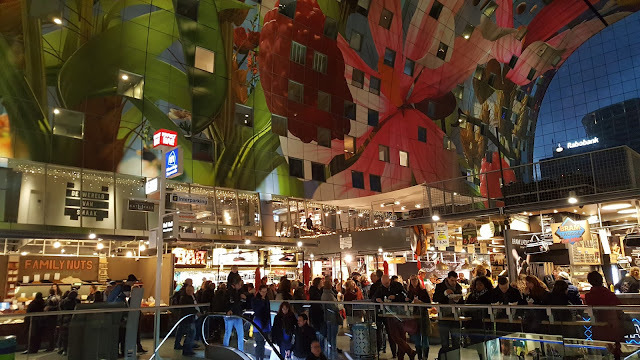 Coming from Luxembourg, where at 4 p.m. everyone is in bed, Rotterdam bursts with life. You see people on the streets, stores are open till late at night and the pubs are lively. You can visit a museum if that is of your liking, you can just walk the streets or you can go to a pop up live concert. 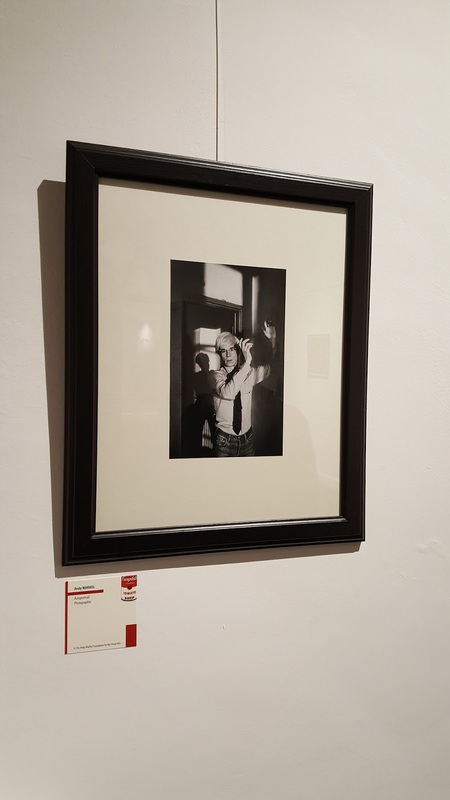 We found one in a church, we almost went to, but we had limited time and we preferred to roam the streets a little and look at the buildings. Do you believe that in 1900 in Rotterdam the first sky scraper in Europe was build? It has only 10 storeys high and I find it lovely. I've read about it on my little documentation before leaving for Rotterdam, but it wasn't included in my plans. At best we would pass it and take a few pictures, because indeed the architecture is amazing. Imagine a normal food market surrounded with apartments. You can't, right? Well, it exists in Rotterdam and we visited it and we spent an entire evening there, eating and buying food and treats. If you look closely at the picture you see those windows high on the ceiling, they are the windows of the apartments. This is how it looks from the outside. The covered market is in a central and green area of Rotterdam and you can't miss it if you visit the White House or the Cube Houses. Only for that market and I will definitely come back to Rotterdam. When I documented Rotterdam, I found out that you can take a cruise around the harbour and visit the flood protection gates, out in the sea. It's not an activity that I would favour, but after watching a 5 minutes YouTube video of the cruise, I realised that there are people interested in that. If you are, I am sure that the Tourist Information Offices around the city can tell you all you want to know. We only saw parts of the harbour (the largest port in Europe) as we walked and also our hotel was in the harbour area facing the water. If you go to Rotterdam you mustn't miss the Delfshaven, an old neighbourhood which is a separate municipality. You can walk from the city centre, but I wouldn't recommend it. We took the metro from the Covered Market and arrived in the area within 10 minutes. More information about transport and prices are at the end of this article. 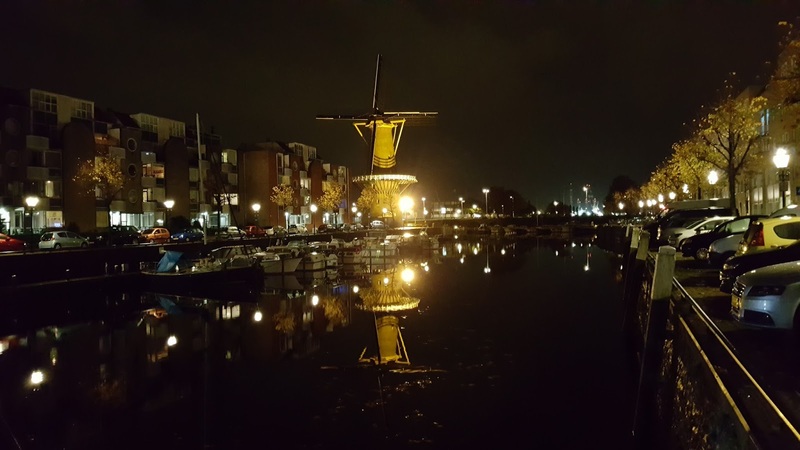 As you can see, we arrived in Delfshaven when it was dark already, but I can only imagine how nice it must have been on a sunny day. Nevertheless, we could see the little buildings and walk towards the mill and went into a local pub and tasted some local beers. I have to say that I mostly go to Nederlands to smell the sea air. I miss Ireland so much and my neighbourhood by the sea, that every time I go to Nederlands I expect it to be like Ireland. Well, it isn't, but that doesn't spoil my desire to visit every little town in Nederlands by the sea. 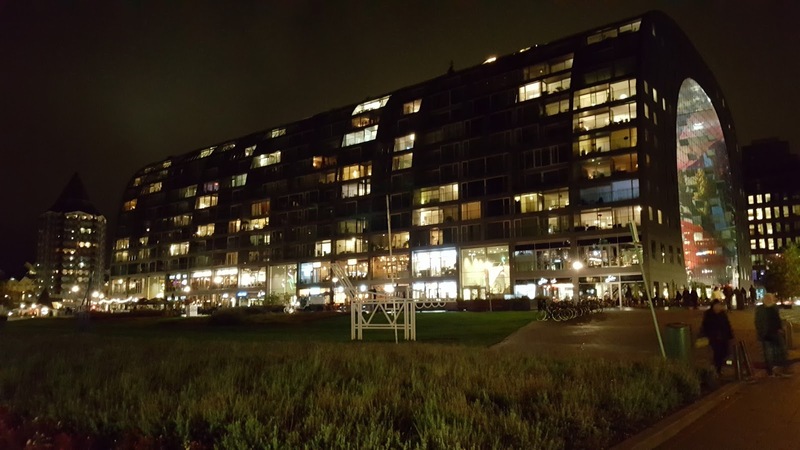 I told you about the mix of architecture and about the incredible engineers that live in Nederlands, but I cannot say it enough. 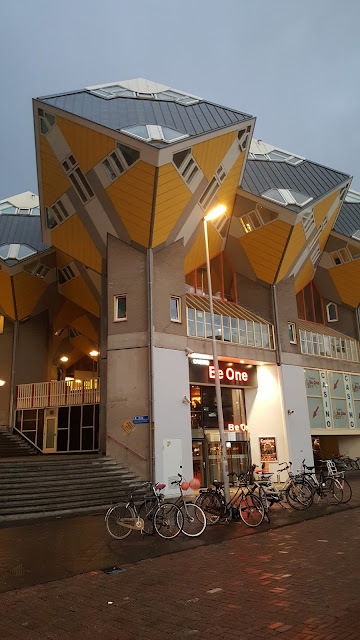 You see, the Cube Houses are just that, cubes. They stretch across a busy highway and I simply couldn't find a right angle to photograph them. You can also visit one of them and see for yourself how people manage to live in the Cube Houses, but for me just seeing them was enough. I had no intention of going to my favourite stores (TK Maxx and Primark), but when I found out that they are opened on Sunday I had to give it a try. I only went to TK Maxx and I have to say that I almost didn't buy anything. I am so hooked with the way the store is supposed to look (like in Dublin or Saarbrucken) that if it looks in another way I can't find my way around it. 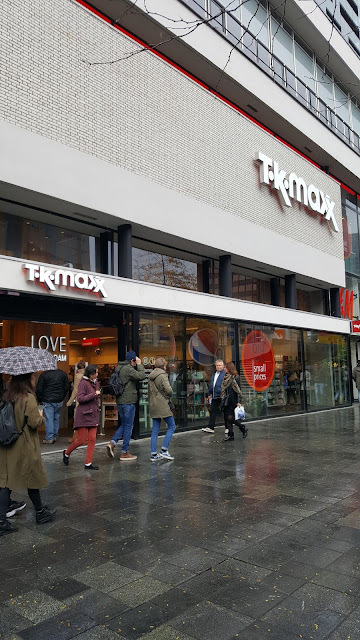 Rotterdam's TK Maxx is smaller and is crowded, but it exists. Because I so got used to the stores being closed on Sundays, I didn't even imagine it any other way and so close to Luxembourg, too. In a little more than three hours we made the journey from Luxembourg to Rotterdam, by car. You can pass through Belgium and I found out that similar to Liege-Maastricht, Rotterdam is very close to Antwerp. In the image above is the Railway Station, which reminds me of a cosy little railway station in Predeal, Romania. 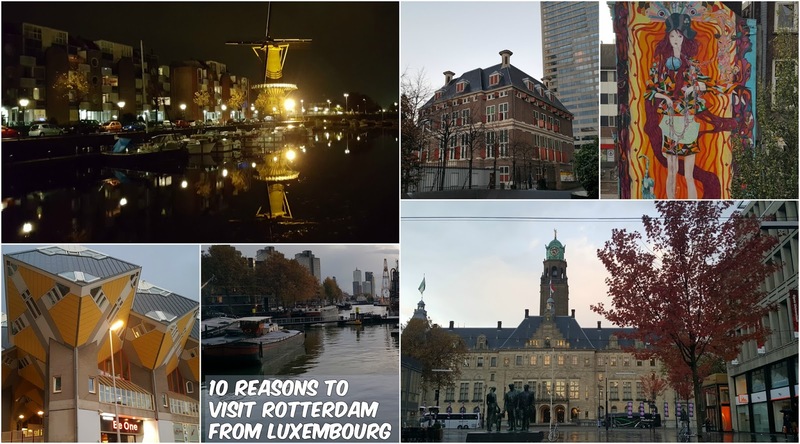 I didn't check it, but I am sure that you can go to Rotterdam, from Luxembourg, by train, too. 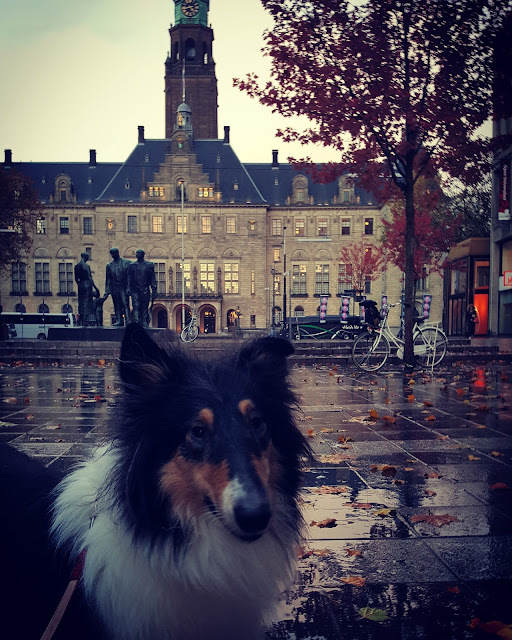 Rotterdam is a dog friendly city. Luna was in her element there and she was allowed anywhere, even inside the Covered Market and inside stores and pubs. It is amazing! Also we didn't pay anything for her when we used the public transport and I read it on their website, that dogs also go for free in the Water Taxi. So Rotterdam is definitely a city you can visit with your furry friend. I know in the picture is a Belgian beer, but I couldn't help it. 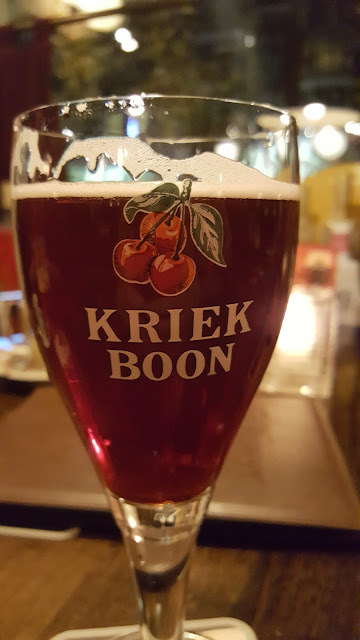 Kriek is one of my favourite beers which I was lucky to find in Rotterdam. About the night life, I've already told you that Rotterdam is a lively city, but we happened to be in the Cool District during the evening. I think it is very close to the Museum District and the centre. 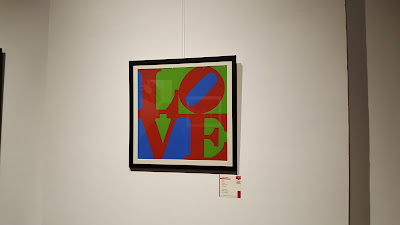 I spotted some really nice pubs, bars and restaurants, some cosy art galleries and art stores. The shops were opened until 8 p.m. or even later and the whole atmosphere of the district was a nice one. When I booked a room in Rotterdam, I discovered that the prices for rooms are higher than what I am used to. We payed a little over 100 euro per night, with the dog tax included. For me, that is expensive. Indeed, we choose a very chic hotel, but it was advertised as "every room has a water view", but I guess we choose the short straw and we got a room with a parking view. For just one night it wasn't such a big deal, but we did pay the same price and we couldn't admire the passing of ships in and out of the harbour, as advertised. If you are keen to find out the name of the hotel, email me and I will give it to you. Also I thought that the public transportation was a little pricey, 2 euros and something for 90 minutes trip. Later I found out that I could have bought a day ticket and saved some money. So if you are in our situation, buy the day ticket. I don't know how much it costs, but you can find everything online. Coming form Luxembourg, the prices of food and drinks were reasonable, but you have variety. If you are not a picky person, go to the food market and you can eat whatever your heart desires. 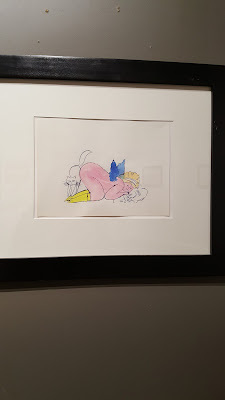 Of course, this is a very personal and at the same time subjective blog post. Take it as it is. I was not impressed by the Erasmus Bridge, because the Lira Bridge in Dublin is even more beautiful, also I am not into high altitude restaurants or viewing points, that is why you will not find on this post anything about Euromast Tower. 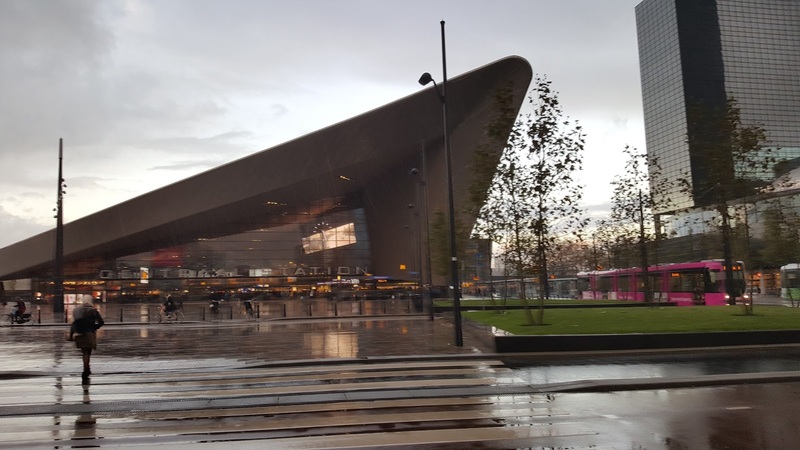 Did you discover anything else in Rotterdam that I might have missed? If so, please message me on my Facebook page: a Romanian in Luxembourg. 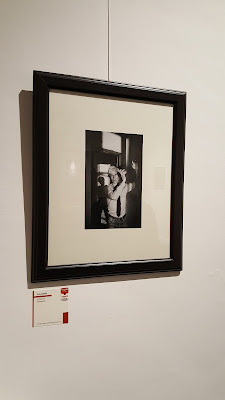 I don't know how many of you know where Arlon is, judging by the fact that every time I have to explain to people that Arlon is in Belgium and not in Luxembourg, but for those of you who went to Arlon for Maitrank or for the Carnival here is another good reason to revisit. 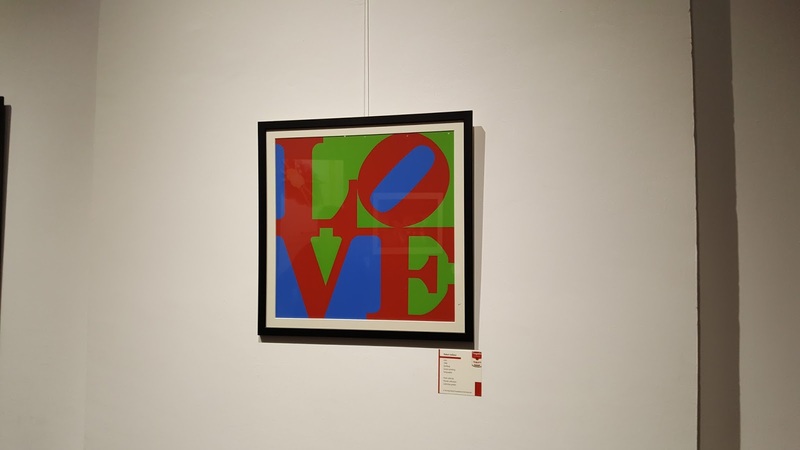 The Palace in the city centre is organising these fabulous exhibitions of well known artists. 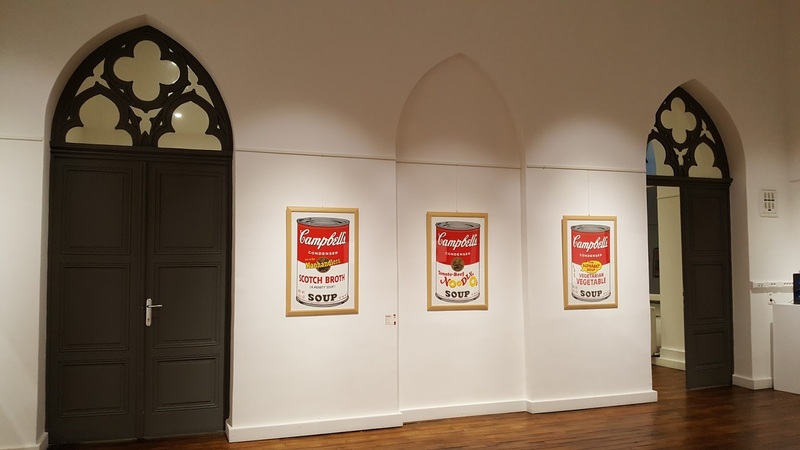 I know in the past they had Chagall's paintings and now they have art works of Andy Harhol and Roy Lichtenstein, in an exhibition called Pop Art. More details about it, here. 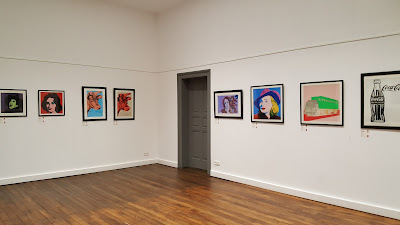 Since the exhibition has some weird opening hours (Tuesday to Sunday from 2 p.m. till 6 p.m.) we only now got a chance to visit it, but you still have time, because it is opened till February, 26th. 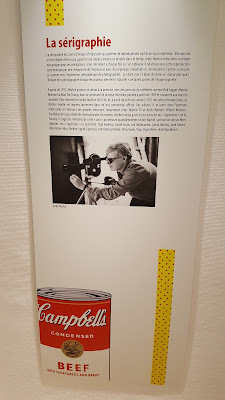 I took only a few pictures so I won't spoil the joy of visiting the exhibition by yourselves. CinEast Film Festival stands for Central and Eastern European Film Festival and takes place every year in Luxembourg. Since we live here I had the opportunity to watch Romanian movies, some of them not even premiered in Romania. This year at the festival there were five Romanian movies and I have to say that I missed just one. I am proud of myself :). I went to see, Dogs, Illegitimate, The miracle of Tekir and Two lottery tickets and I have to say that the last one was my favourite. Two lottery tickets is a remake after a very famous Romanian short story written by I.L. Caragiale, but this remake somehow brings the story into this time without damaging the essence. I liked everything about the movie and it is a breve of fresh air in the Romanian movie world. I've read somewhere that the movie was made with little money and that all the actors in the movie played for free. The little money were spend on post-editing. This is indeed good news and Two lottery tickets is at the same level as many other Romanian movies, if not even better. Two lottery tickets is a comedy, that should be said form the beginning, and the actors are all known and admired in Romania. One of them, Dragos Bucur, is playing the lead role also in Dogs, but that part is totally different. Dogs in more of a drama and although I wanted to know more about the subject I left the cinema disappointed. For sure we could make better movies and we have better movies in our filmography. Another movie I did not get was Illegitimate. I liked the actors and I discovered with this occasion some very good young Romanian actors, but the movie was plane. It didn't move me, but that is just my opinion. The miracle of Tekir is a very heavy movie. I would really like to talk with someone who isn't Romanian and who has seen the movie to know what they understood from it. I could relate to it because I am Romanian, but I don't know what a Luxembourger would understand. Actually I don'e even think that a single Luxembourger went to that movie. This brings me to one of my problems with the festival. There is a circle that has to be solved before the next edition of the festival. Too few Romanian came to see the Romanian movies, the organisers say that the events outside the festival are few for Romanian because Romanians are not interested in the festival, but Romanians are not interested because they feel that they are not represented in the festival. I went to a Polish movie and the audience was even sitting even on the stairs. This did not happen at the Romanian movies. Also, not even a single Romanian known actor came to represent the movies, compared to Poland and Czech Republic who had actors and directors and events especially for their communities here in Luxembourg. I am just wondering why? I think a possible explanation is that there is no Romanian among the organisers or if there is it is not a vocal one. I give all my appreciation for the selection of Romanian movies, but I feel that we need more. We need events which target Romanian expats, because I feel that the Romanian community here in Luxembourg is as big as the Polish one or Czech or other Eastern European one. Overall it was a good festival. I can't wait for the one next year!